Just like every Fall semester, this semester is SO busy. I'm kind of a work-a-holic so working and being busy is fun for me...but this is a whole new level. Besides taking classes, I'm involved in a few organizations at Tech, writing my senior thesis (30 page paper), working two jobs, spending time with family and friends AND working on my book. It's a lot. I have to take a break every now and then and just relax, read the Bible, pray for guidance and strength. I also drink coffee on a semi-regular basis (when I have a lot to do) in order to stay awake and perky :) I'm beyond happy that Starbucks is selling their Pumpkin Spice Latte again this year. 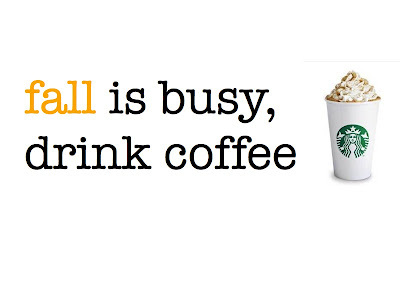 I had a salted caramel frap-that was yummy too, and new for fall @ Starbucks! You should try one! Starbucks is definitely MY best friend! It truly makes each day sweeter. HaHa Great post doll! Mmm, starbucks is my favorite. 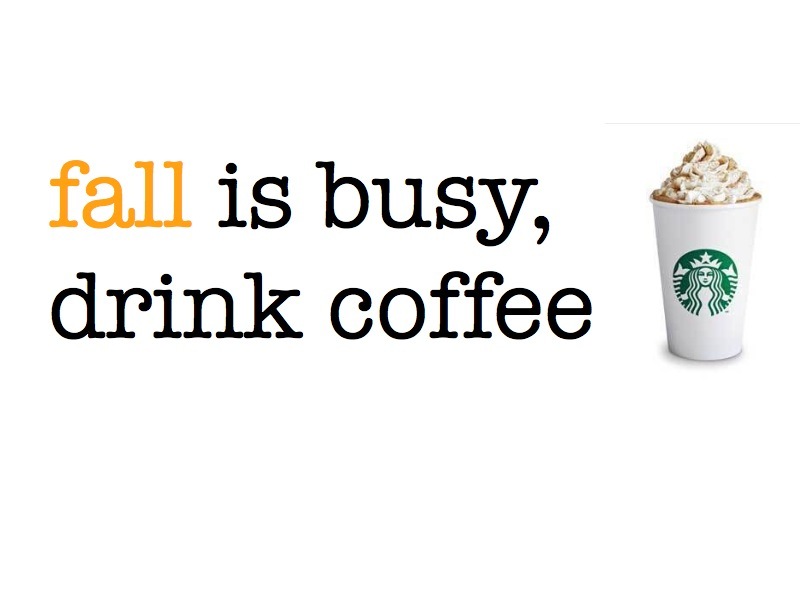 Starbucks, Peet's Coffee, Coffee Bean...I love them all! haha. My favorite drink at Starbucks is their matcha green tea frappuccino. You should try it! Also, good luck with all your work, girl. What's your thesis on? Yumm I LOVE the green tea frap too!!! Twins. Thank you, it's going well just so busy! It's on photography in relation to obesity and healthcare in college students :) <3!